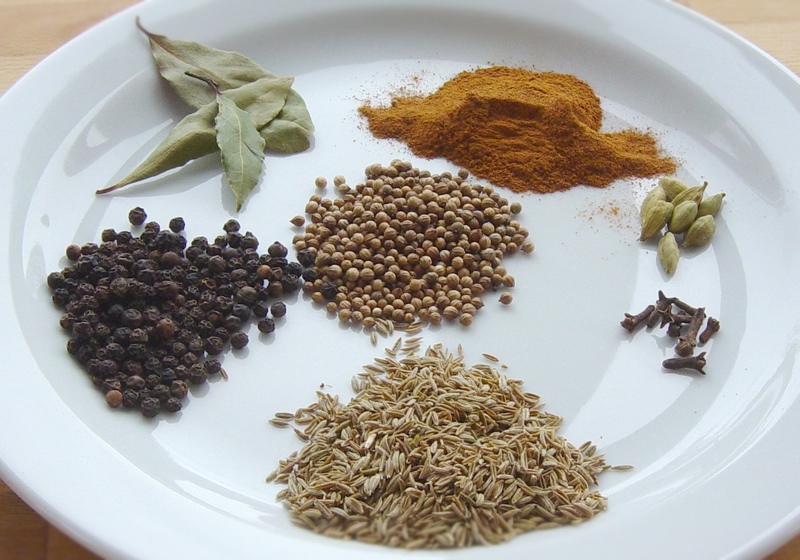 Mix all the spices in a blender or coffee grinder. Blitz until it is turned into powder. If you don't have a grinder, but have mortar and pestles and the upper body strength of a 19th century black smith, you can use that as well. Before you use the final spice mix it is best to roast it lightly first. You can do it on a dry pan, but I prefer to put it into the cooking fat that I am going to use anyway. Some recipes recommends that you roast the spices whole. Before grinding. It is not a good idea if you use a coffee grinder like me. 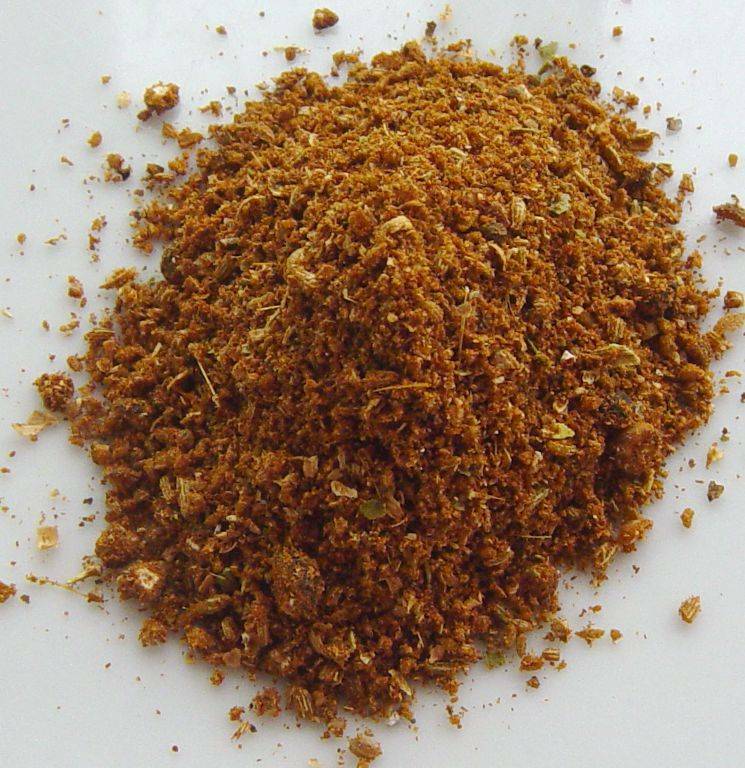 The hot spices has a tendency to stick to the inside of the blender. Besides, there is not much reason in releasing the aromas, and then put the spice into the cupboard.